A common misunderstanding is that reporting and business intelligence (BI) are interchangeable terms. Both are important but serve distinct purposes for your organization. Reporting shows you historical data and current status, such as your Bill of IT invoices. These reports seek to inform your consumers how they are currently using IT services and applications and how their usage has changed over time. The goal of business intelligence is to provide actionable insights for your leadership and end users to make informed decisions. You may need to bring in additional data sources to help your business partners glean insights and make decisions from their Bill of IT reports, such as utilization metrics, technology standards, and more detailed configuration data. BI will help your customers understand why their Bill of IT consumption is at a certain level and how they can impact future performance. But what does this really mean for your organization? In order to enable faster decision-making, your data needs to be accessible to the broader community. As part of your ITFM implementation, you began breaking down information silos across your organization. You also brought together disparate IT and financial data and transformed it into something usable. By opening up your ITFM repository to others, you become an enabler of data democratization. These users won’t have to undergo the same challenges you had with information silos and data transformation because your data is now at their fingertips. Opening up your ITFM repository will require appropriate governance. Before granting access to any data, you will need to ensure the users understand how your data should and should not be used. Consider building a center of excellence to maintain business rules, facilitate data integration, develop key reports, and serve as a resource to other teams in your organization. Beyond access to base data, data democratization requires accessibility at the reporting layer. Pre-defined reporting templates will always have their place in your organization. The need to report status does not become obsolete when BI capabilities are implemented. However, reporting will need to evolve with your organization. Decisions that your leaders need to make will change from month to month – can your reports keep up? If you have attended Nicus’s IT Finance Boot Camp, you’ve heard that you need to hire or develop a diverse set of skillsets for a successful IT Finance team. Expanding your team to cover BI is no different. 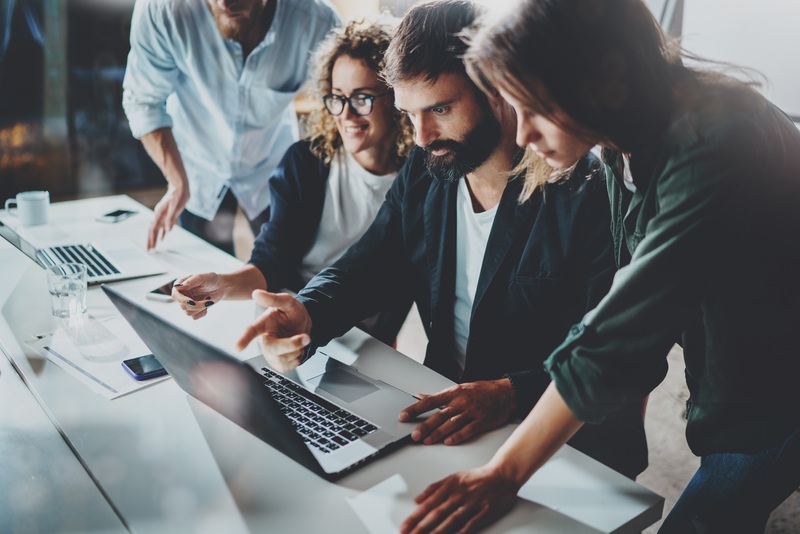 There’s a myth in the BI community that you can always hire a data science unicorn – someone who understands data, can write their own code, has excellent communication skills, and is both highly creative and mathematical. These unicorns do exist, but they are very rare. Instead of trying to find the elusive data science unicorn, you will need to hire or build up these skillsets across your team. Your existing IT Finance analysts may be able to pick up BI skills with the right training and practice. Whether or not you choose to pursue BI as part of your ITFM program, don’t underestimate the value of storytelling. Your IT Finance team should include great communicators who can speak the language of IT, finance, and business value. Emma Warrillow, President of Data Insight Group, Inc. asks, “If you have a great analysis, but no one gets it or takes action, was it really a great analysis? Data democratization and the right team can help you make the leap from reporting to business intelligence. You will also need to have the right tools to achieve your ITFM + BI goals. BI tools are designed to be flexible, so reporting can move at the speed of your organization. They are also typically easier for non-IT specialists to learn and use than typical operational systems. There are numerous options to choose from – your organization may have already made an investment or have expertise in one or more BI tools. The right toolset can help transform your business analysts into citizen data scientists who enable advanced analytics and improved decision-making. Does your ITFM system support integration with third-party BI tools? Nicus does! If you are still searching for an ITFM partner, check out 6 Keys to a Winning ITFM Implementation. This eBook provides a roadmap to leading a successful ITFM implementation. Business intelligence technologies can help identify, develop, and create new strategic business opportunities. Whether your organization’s goal is to increase revenue or market share, improve customer satisfaction, cut costs, or all of the above, identifying new opportunities and implementing an effective strategy based on data insights can provide a competitive market advantage.